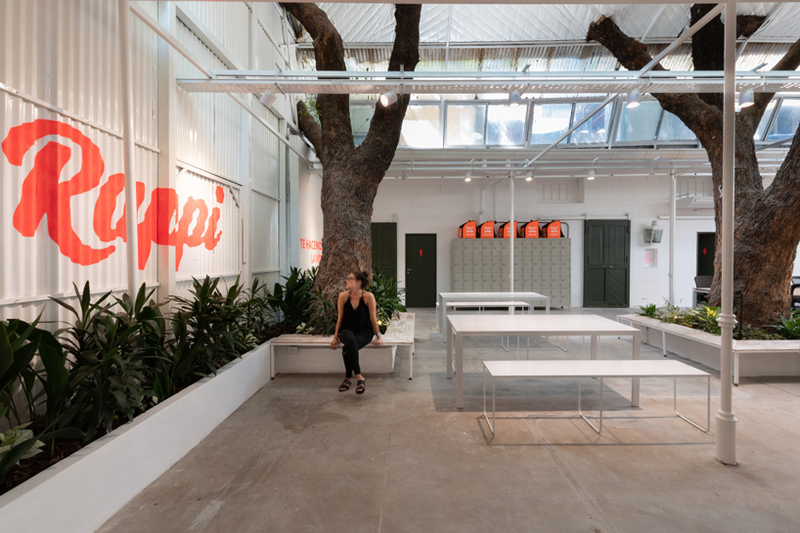 octava arquitectura presents the renovation of a derelict stable in palermo argentina, dating back to the early twentieth century. 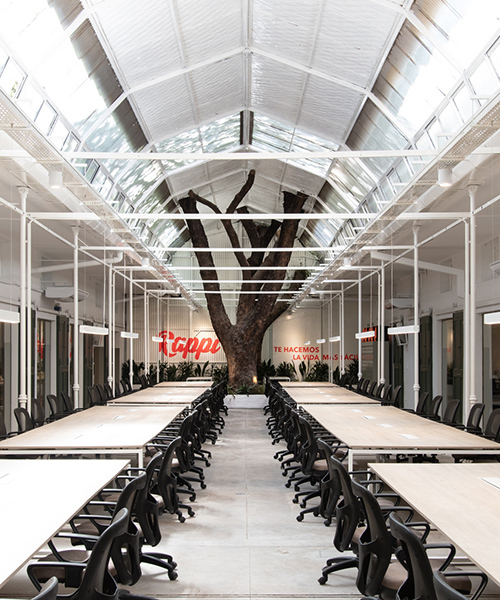 the structure now hosts a fluid working space for rappi argentina, a company which offers shipment services by bicycle. 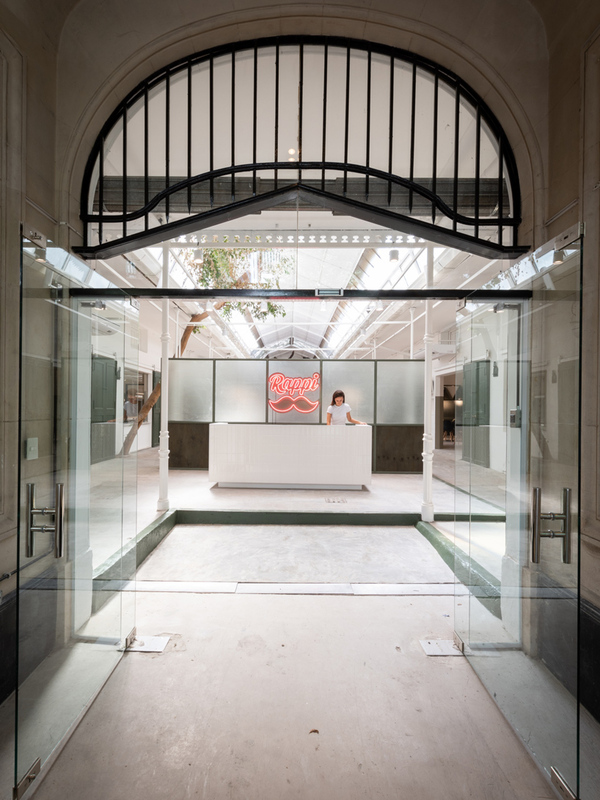 in respect for the heritage building, the preexisting characteristics of the façade and interiors were maintained. 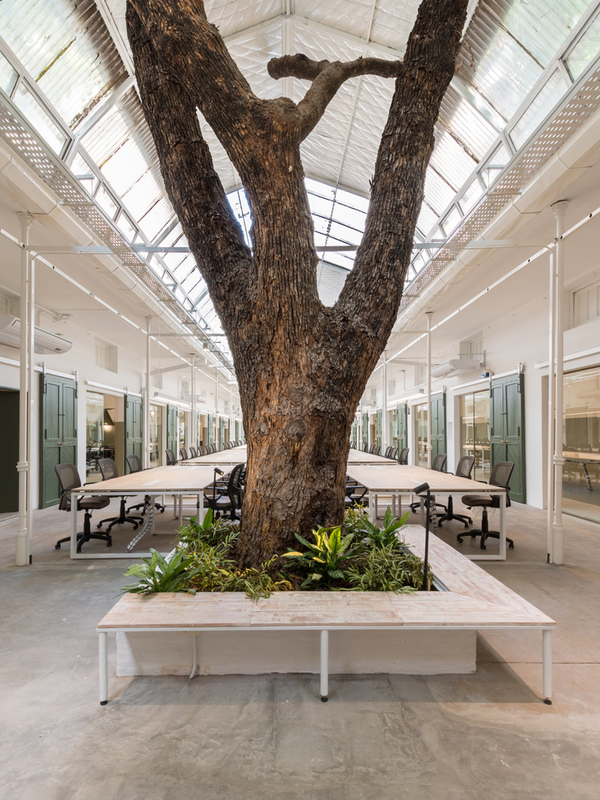 such elements include original doors, metal substructure, marble, glass and vegetation. the organization of the plan comprises one central and two lateral naves. 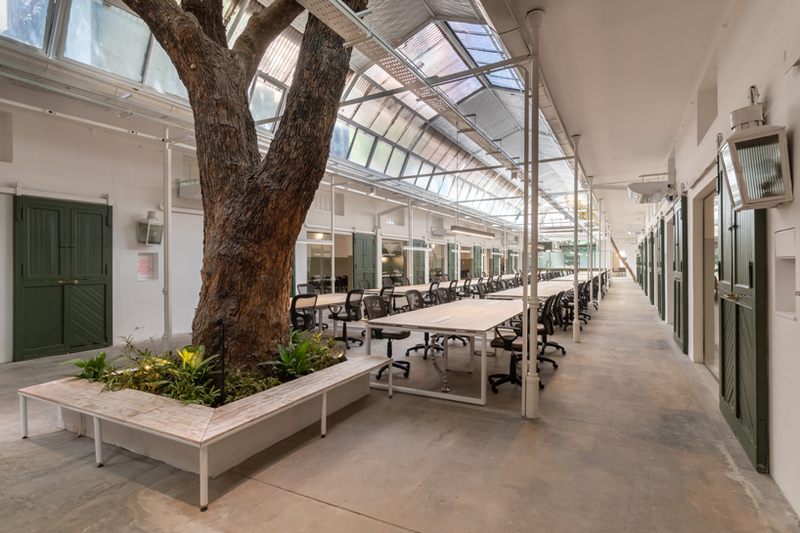 the main nave, hosting the primary work space, expresses a vaulted sunlit ceiling and large trees which grow naturally through the interior. 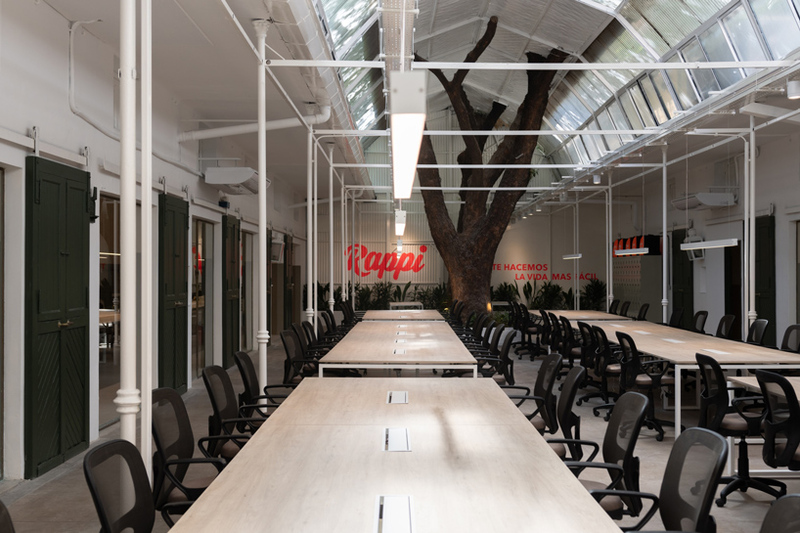 the rappi argentina office space by ocatava arquitectura integrates the naturally growing vegetation, enhancing the organic elements with a palette of green and white. on either side of the central nave are two side aisles which make up meeting rooms, closed offices, a dining room and restrooms. 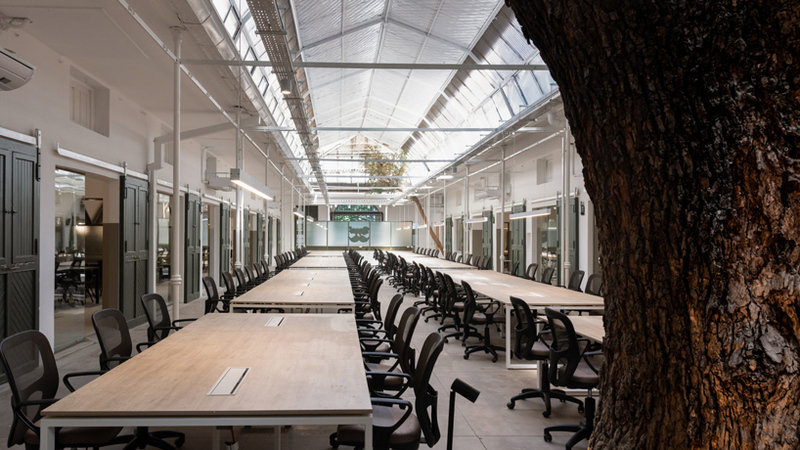 the materiality of the project consists of stained green wood veneer, meshed glass, and smoothed cement.